In Super Bowl 49, arguably one of the greatest ever played, the Patriots defeated the Seahawks 28-24 after scoring 14 unanswered points in the fourth quarter. The Seahawks final attempt to retake the lead and win a second consecutive league title was thwarted on a goal line interception by, then undrafted rookie free agent cornerback Malcolm Butler, with 20 seconds left in regulation. It was a controversial and storybook finish that sent aftershocks throughout sports media in the weeks that followed. This game is unquestionably about the Patriots No. 2 BES Offense against the Seahawks No. 4 BES Defense. The data clearly depicts a tightly matched contest in that regard. However, we notice a huge disparity in Ball Control where the Patriots have a score of 2.82 against a 2.15 for the Seahawks. That indicates a chink in the Seahawks defensive armor as they rank 26th in the NFL in third down percentage, allowing a 42% conversion rate. Meanwhile, the Patriots are fourth in the league offensively on third down, converting at a rate of 47%. That spells trouble for an otherwise impressive Seahawks defense tasked with keeping Patriots quarterback Tom Brady and a highly explosive offense off the field. The Patriots offense is seemingly unstoppable with Brady at the helm. The only way to effectively slow it down is to pressure Brady. That task is immeasurably harder for the Seahawks with star defensive end Michael Bennett sidelined after recent arthroscopic knee surgery. Bennett, had four quarterback hits in Super Bowl 49, tormenting Brady for the majority of the contest. The Seahawks will try to compensate for the loss of Bennett with defensive ends Frank Clark and Cliff Avril who have combined for 15.5 sacks on the season. 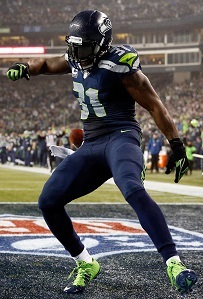 The Seahawks welcome the return of Chancellor after he missed the last four games with an injured groin. During that span, the Seahawks have allowed an average of 20 points per game vs. 13.5 points per game when Chancellor was healthy. Chancellor brings leadership and an intimidating physical presence to the Seahawks secondary. Those qualities will be needed against a Patriots team averaging 34 points per game since Brady’s return from suspension in Week 5 . Given the Seahawks inability to effectively run the ball this season (ranked 30th in rushing ), quarterback Russell Wilson will have to shoulder a likely one-dimensional offense while trying to match Brady who will orchestrate a multi-faceted attack. Additionally, Patriots coach Bill Belichick and Brady have had two weeks to prepare for the Seahawks coming off a Week 9 bye. 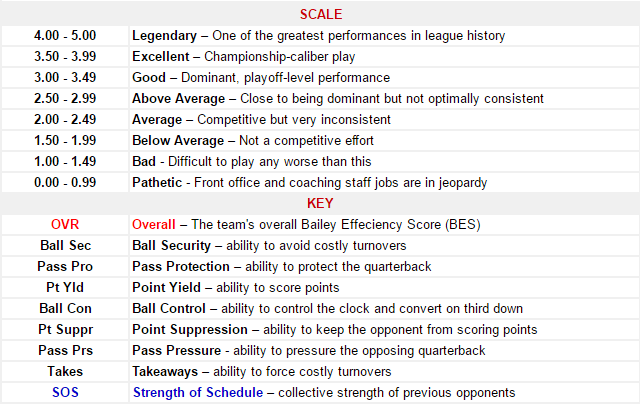 The Patriots also have an imposing home field advantage and a stronger SOS. Therefore, we pick the Patriots to win this much anticipated Super Bowl rematch. The true American team, New England 4 Life! I was told that DALLAS was American’s team. Now it’s the Patriots??? Not that I am a Cowboy fan, just somewhat confused about the Patriots…just saying!!! Thx!!! But I meant to reply to Brian McCay!!! Sorry my brother!!! I was distracted by the GAME, Mr. McGraw. ? Yeah!!! I am a believer except that bit about Jesus!!! ?